Davenport Road 1914. 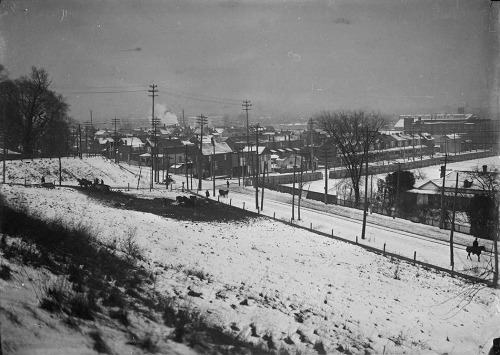 Photo credit: City of Toronto Archives, (Fonds 1231, Item 262). Did you know that Davenport is one of Toronto’s oldest roads? 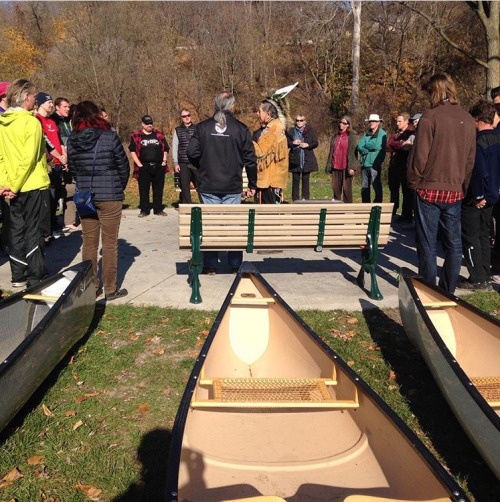 It follows the longest First Nations trail in Ontario known as Gete-Onigaming, or “the old portage,” which stretched between the Humber and Don rivers running along the southern shoreline of glacial Lake Iroquois. In 2015, a handful of participants began an annual tradition to trace part of this historical trail in an event known as the Davenportage. The route of the 2016 Davenportage. 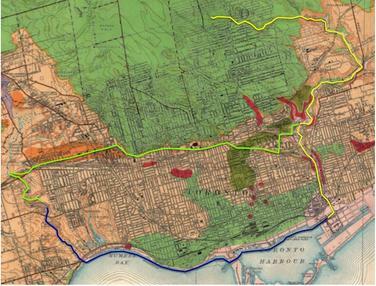 Leg 1: A 15-20 km run from a First Nations historic site, through the ravines to the Don River. 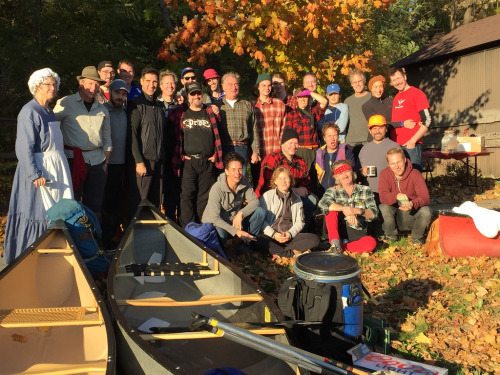 Leg 2: A 20 km paddle down the Don River, across the waterfront and up the Humber River. This year, this leg started at the mouth of the Don due to low water levels. 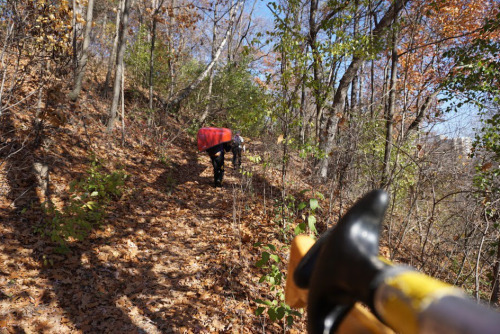 Leg 3: A 17 km portage along the Davenport Trail back to the Don River. Although the Davenportage route deviates slightly from the original route due to modern development, the event is dedicated to paying respect to the historic significance of the journey. This year’s event was kicked off with the help of Glen Sault, a First Nations elder and story teller, who conducted the opening ceremonies and smudge. There’s also a pit stop along the event route at the Tollkeeper’s Cottage at Davenport and Bathurst, which dates back to the mid-1800s after Davenport became a paved road. Between the Humber and Don Rivers, Davenport had five tollgates, the third of which included the Tollkeeper’s Cottage—home to the tollgate keeper and his family. There’s no doubt that the event is a challenge, requiring participants with experience, endurance and the good nature to deal with whatever obstacles arise on the day of the event. In exchange, portagers gain a better connection to the history of the area and to those who came before us who had to endure the unpredictabilities of nature. For more information on the event and what’s in store for 2017, check out the Davenportage website! Photos courtesy of the City of Toronto Archives, the Davenportage website and the event organizers.